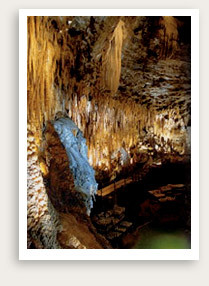 Customize this tour with your choice of cave and dwelling visits. Inquire. Dordogne Prehistoric Cave and Dwelling Tours Include: Our Dordogne Prehistoric Cave private tour includes services of a professional driver guide; entrance tickets to cave and dwelling sites, tolls, fuel and parking. The Dordogne prehistoric caves are the most popular and well-known of the more than 100 archaeological sites in the area. Your private tour guide can take you to visit one or more of these caves, famous for their prehistoric artwork. Rouffignac Cave, which boasts more than 150 paintings of woolly mammoths, bisons, rhinoceros, ibex and other ancient fauna, is several miles long, requiring a trip on an electric underground train to see the painted walls. The Roque Shelter La Madeleine is a prehistoric rock shelter providing many artifacts from the Magdalenian era. Time permitting (and optional), you may also visit the National Prehistoric Museum, which houses one of the world’s most complete collections of prehistoric artifacts.